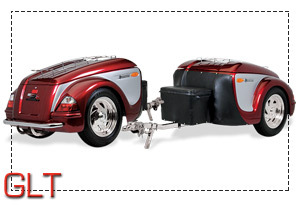 Thoroughbred Motorsports, the sister company of Motor Trike and makers of the Stallion, offers two unique trailer models to choose from, giving you the perfect traveling companion for your trikes and bikes. 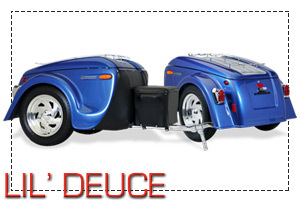 Click on the GLT and Lil’ Deuce images below to learn more! Looking for trailer hitches? Find them here.